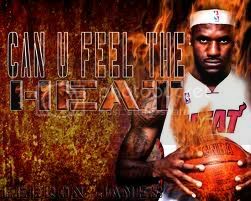 For all those who don't know, Lebron james and the Miami Heat owned the courts and became this year's NBA Champions. give a fine-feathered salute! Like a Ghost Chili or a Trinidad Moruga Scorpion, Lebron brought the fire! Why does Lebron James only eat boneless wings? Because he tends to choke. 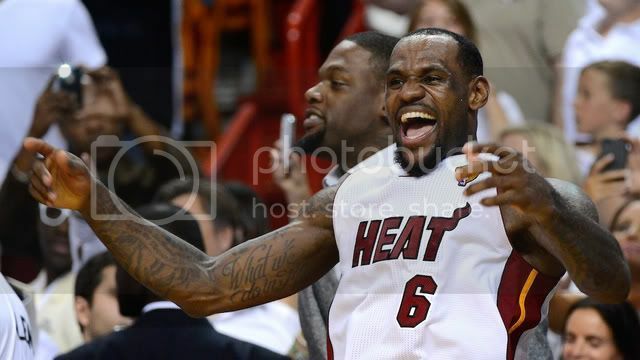 When asked if he liked it, this was Lebron's reaction! Once again the world sees that sometimes you just gotta love THE HEAT!